Today we’re going to talk about a Ted Talk. Well, and a book. We are going to discover the reason why some people and some companies are so influential. We often think that if someone tells you exactly what they can do for you and how they do it then we’ll be convinced. But it’s actually not the case. If you want people to follow you, it’s important to know that they won’t care much about what you do, but why you do what you do. It’s all about the why. Also in today’s episode, I’m going to talk about how to motivate people, how to motivate yourself when you’re feeling stuck and frustrated and also how to get inspired in life and work. 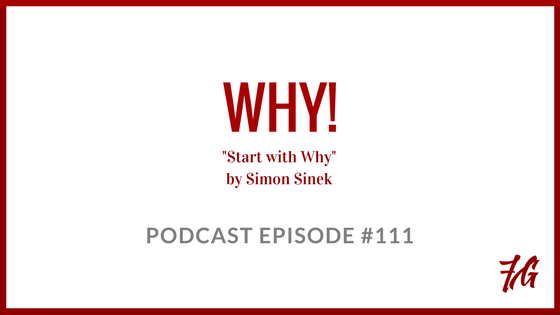 These ideas come from one of the most popular Ted Talks of all time by a guy named Simon Sinek. It’s all based on a very powerful idea. And I’m going to share his ideas with you, I’ll play some of his talk so you can hear someone else’s English, and I will also talk a little about the “Why” behind Feel Good English. Listen to this full audiobook, for free, while sunbathing on the moon (or wherever).